The location of Nestle headquarters and the place that milk chocolate was born. What a quaint little town right along the lake! If you like an adrenaline rush and the thought of scaling the side of a mountain of the Swiss Alps thrills you...this won't disappoint! 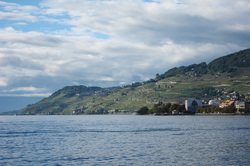 Whether you're in Geneva or Vevey or Montreux, or on the train between these cities, the view of the lake is beautiful! It's peaceful, tranquil, and so awe-inspiring. It's the federal capital of Switzerland, but has so much more to offer. 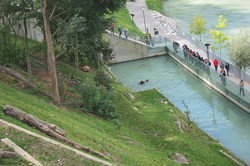 From the cute brown bears in the Bear Park to the River Aare that wraps around the old city, it was designated a UNESCO Heritage Site for a reason!